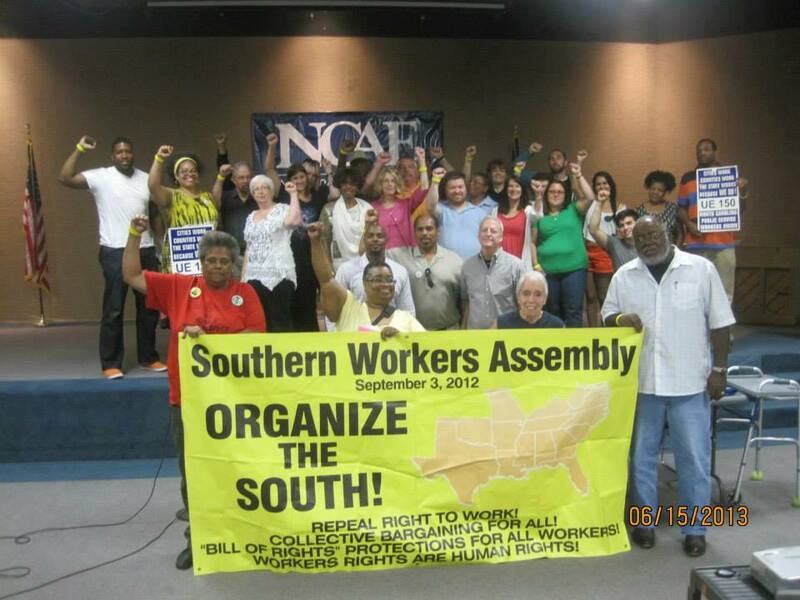 The Southern Workers Assembly (SWA) invites you to affiliate with our network of local unions, labor committees, labor organizations and individual labor activists. We are committed to empowering Southern workers to build a rank and file democratic labor movement. 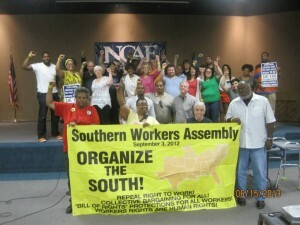 The SWA recognizes the historical struggles of Southern workers and the impact of Taft Hartley and Right to Work laws, as well as the absence of collective bargaining rights for all workers, private, public, agricultural and domestic. This anti-worker law, along with the history of discriminatory laws, has helped to divide the Southern working-class. The worker suppression experienced under these unjust laws – financed by the Banks and corporations – has continued throughout the years and is now being replicated across the country with the introduction of Right-to-Work and removal of collective bargaining rights for workers in states that were strongholds of the unions and the U.S. labor movement. The recent, June 25, US Supreme Court decision removing the long-fought for legal protections to the Voting Rights Act and the not guilty verdict of Trayvon Martin’s killer are further efforts to divide the working-class and fan the flames of discrimination and hatred. Organizing the millions of unorganized workers in the South and building labor solidarity must become a major focus of building workers power and uniting the working-class in the struggles for economic justice, social justice and human rights. This will not only benefit workers in the South, but throughout the entire U.S. and the international working-class. Now is the time to reverse the course that history has provided. We must unite, organize and transform workers power into an independent political and social movement. We must demand the repeal of the Taft-Hartley Act and Right-to-work laws, and the enactment of collective bargaining rights for all workers. The Southern Workers Assembly welcomes the opportunity to work with you and your organizations to accomplish these demands and bring justice and dignity to all workers.